BERNINA has been one of the world sewing and embroidery machine manufacturers for more than 120 decades. The Swiss company's products are synonymous with innovation and precision. Yazirwan Sewing is the source for the top quality BERNINA sewing machines and BERNINA embroidery machine sales and support in Asia. Our passion is that the development of products that enable you to place your creative ideas. Here, you find out about our doctrine and our values and can find out what makes BERNINA unique. We're proud of this fact that we're the only sewing machine maker still producing in the world. 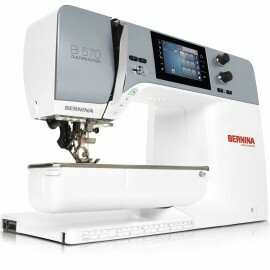 Yazirwan Sewing is BERNINA sewing machines seller that gives the entire line of sewing machines, sergers, quilting machines, software and equipment accessories to you.